I have recently begun my journey as an MBA Candidate with the DeGroote School of Business, which is connected to McMaster University. Therefore, I had a very busy past few weeks as I have moved to Burlington, went to co-op workshops, and completed Transition Week 2015. Luckily, I have noticed that all of the most anticipated September films are being released in the next two weeks. Check out the trailers and summaries below for my two favourite picks, as well as a few other exciting films. A great friend of mine sent me the trailer for Sicario because she knew with it’s star-studded cast and exciting plot line I would 100% want to go and see it. Emily Blunt heads up this crime thriller as Detective Kate Macy, a naive and idealistic FBI agent, after she is chosen to be apart of a special government task force. This task force is selected to tackle the drug war between the border of the U.S. and Mexico by searching to shutdown a powerful anonymous drug lord. I’ve been loving Emily Blunt’s recent career transition towards grittier roles such as her work in Looper as protective mother Sara, and as super soldier Rita in Edge of Tomorrow. Therefore, I can’t wait to see what she brings to the role of Kate Macy, especially as she performs alongside big names Josh Broslin and Benicio del Toro in their respective roles as a CIA agent and a lethal mercenary. A couple of summers ago, I read the dystopian sci-fi action The Maze Runner trilogy by James Dashner in anticipation of the upcoming film series. I thoroughly enjoyed how the images in my mind unfolded on-screen as Dylan O’Brien, of Teen Wolf fame, impressively lead in the main role of Thomas in the first film. The Maze Runner (currently on Netflix) ended as Thomas, alongside his fellow Gladers, escaped the maze and were flown out of the desert wasteland towards an equally ruined city. It is noted as the film ends that the Glade survivors are now about to begin “Phase Two”. The Scorch Trials begins as Thomas and the rest of the Gladers, including Thomas Brodie-Sangster and Ki Hong Lee reprising their roles as Newt and Minho, fight their way through the new challenges and obstacles of a scorching ruin. I’m excited to see how the Gladers will team up with resistance members of the Scorch, and what will happen once they realize what W.C.K.D. has in store for them. Everest (In Theatres – Friday September 18th): is an upcoming adventure drama based on a blizzard that became disastrous for two climbing expeditions of Mount Everest in 1996. 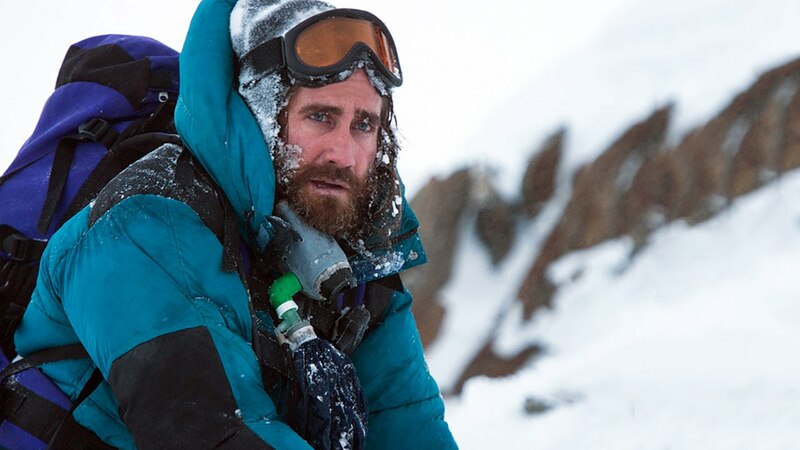 Jake Gyllenhaal as Scott Fischer, and Jason Clarke as Rob Hall are the two expedition leaders that spend the rest of the film desperately trying to return everyone home safe and sound. 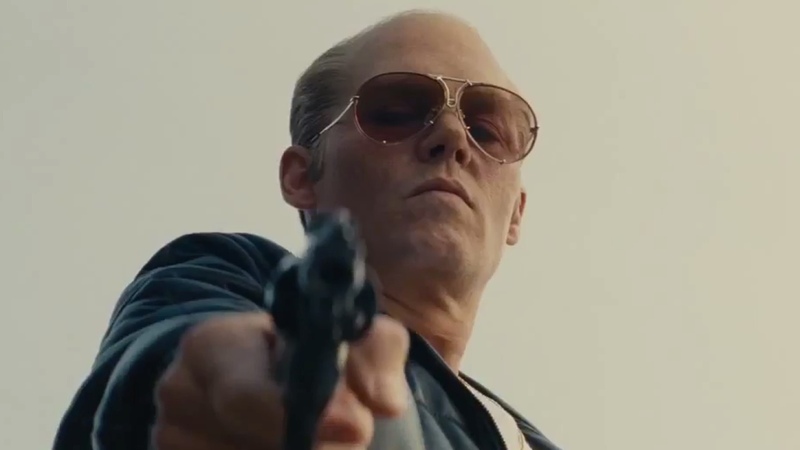 Black Mass (In Theatres – Friday September 18th): is an upcoming crime film featuring Johnny Depp in the role of infamous Irish-American mobster Whitey Bulger. Black Mass focuses on the late 70s and early 80s of Whitey’s career as a ruthless criminal and killer in South Boston. 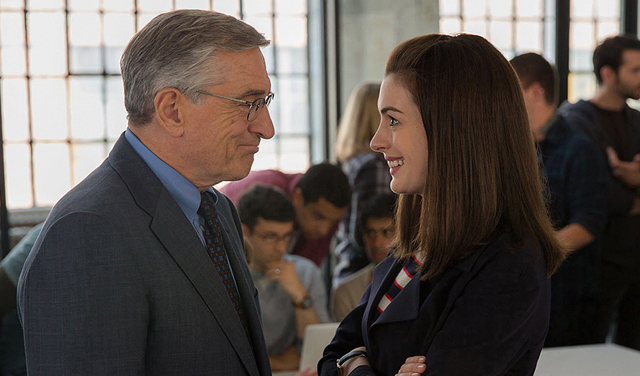 The Intern (In Theatres – Friday September 25th): is an upcoming comedy film featuring Anne Hathaway in the role of Jules Ostin, a CEO of an online fashion company, and the journey she has with her newly hired 70-year old intern Ben Whittaker (Robert De Niro).